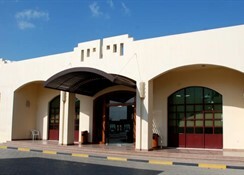 Umm Al Quwain Beach Hotel located in Umm Al Quwain offers four-star all-inclusive accommodations and facilities to families and couples within reasonable price.If you’re looking for family friendly villas that are not far from Dubai Airport and Sharjah Airport then perhaps you must check out Umm Al Quwain Beach Hotel located in Umm Al Quwain. 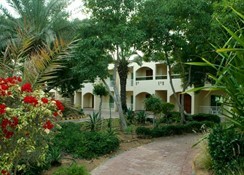 This is a four-star property suitable for couples and families looking for all-inclusive accommodations. Features to note are the award winning restaurant, fancy drinks, spacious & modern villas, swimming pool, proximity to the beach, breath taking scenery and serene golden beach. 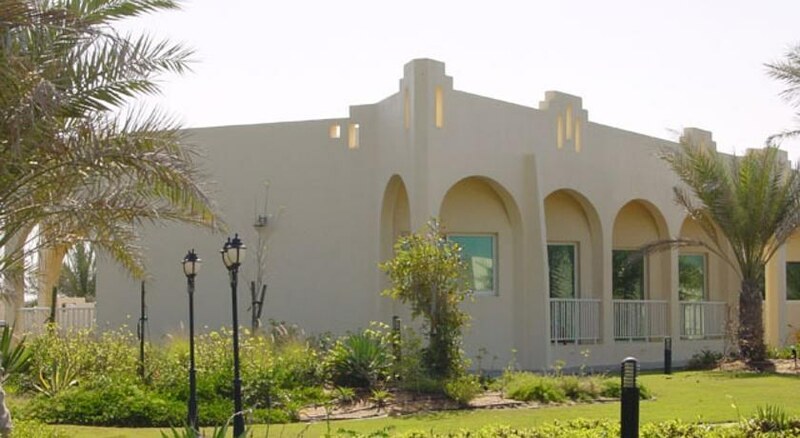 Umm Al Quwain Beach Hotel offers 66 sophisticated villas that are spread across 5000 sqm of garden. It has 54 One Bedroom Villas that can accommodate a maximum of two adults and one kid and Two Bedroom Villas that can host up to four adults and one kid. These villas are beautifully done, furnished will handpicked modern facilities — they speak of comfort and amicable hospitality. Each villa has its own front door, parking area, TV with satellite connection, separate bedroom, en suite bathroom, WC, shower, king side bed, WiFi connection, air conditioning, wooden furniture and mini fridge. Known for the outstanding Lebanese cuisine it serves since 1975, the restaurant in Umm Al Quwain Beach Hotel knows how to please palates looking for adventurous flavours. The restaurant serves all day menu, which you can either call for room service or enjoy the scrumptious meal at the pool area. A huge collection of alcoholic beverages is served in its all-day-long bar counter, along with classy cocktails and mocktails. Furthermore, a private coffee shop serves breakfast buffet and other selected items. Every Friday the restaurant hosts a special brunch party with live music, belly dancers and other entertaining activities. 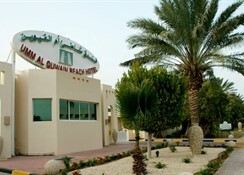 Built within a picturesque landscape, Umm Al Quwain Beach Hotel offers a very relaxed and peaceful ambiance. The beach is just a stone’s throw away from the hotel premises, an ideal destination for couples and families looking for a quick getaway to rewind and rejuvenate. 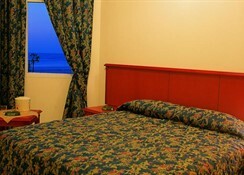 The hotel is located 35 minutes (46 km) away from Dubai Airport and 20 minutes (35 km) from Sharjah airport. The neighbourhood is interesting and worth exploring — you might just run into a fabulous food joint or a handicraft store. Umm Al Quwain Beach Hotel houses a swimming pool in the middle of the premises — the pools has sundeck fitted with sunbeds and umbrellas. The hotel is built within a humongous garden which serves as a playground for kids, and of course even for adults. 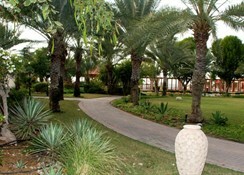 Outdoor games such as football and beach volleyball are offered within the premises. And in case you’re looking for something to rewind, it has a spa that offers various beauty treatments.